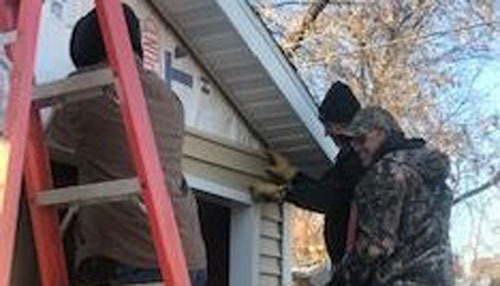 Students in both Beginning Carpentry and Residential Building and Construction have been working on different structures throughout the course of a month. The students have been taught to build these structures by Mr. Greg Brown. Mr. Brown has been teaching students at Shawano Community High School for twenty-two years. Building sheds or cabins has been in the curriculum for nineteen years. 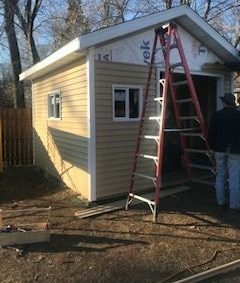 Some of the students in Beginning Carpentry took the class to be able to have experience in building these structures. By taking Residential Building and Construction some students are able to work on buildings that are not at the school. 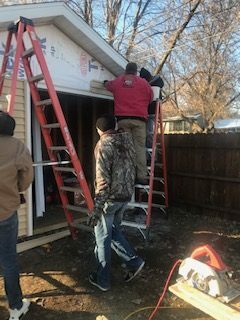 The students are able to leave the class and go offsite to where they are building the toolshed. 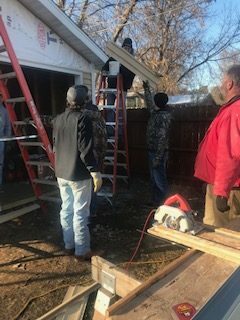 The Residential Building and Construction students are able to work more independently, while the Beginning Carpentry class has Mr. Brown there teach to them everything they need to know. Although, there has to be some precaution taken anytime anyone is building. Mr. Brown has to make sure that they follow the rules. “I have to make sure that they are putting the building together. At the same time, I have to watch to make sure that everyone is safe,” Mr. Brown explained. There are many aspects that have to be put into these projects. There has to be a lesson in the end that the students are able to take out of it. After the building is finished that is in the school, Mr. Brown sells or raffles it. This is to raise money to be able to make more in future classes. For future reference, the Beginning Carpentry class will be made into a life skills credit. The students that do take this class do want to put in the best effort that they can.